Share what inspires you, and help others discover the world as you go. Explore, uncover, share, inspire at Renaissance! The Renaissance Amsterdam Schiphol Airport Hotel is a stylish and innovative new hotel, opened September 24, 2018. And we are looking for YOU! Our Renaissance B&F Management Trainee will be immersed in a one of kind learning experience: Opening of a Hotel. This is a key position that will provide direct support to the B&F Manager and all B&F venues and their teams. The main goal being to ensure a smooth running of the B&F department through adequate leadership and teamwork. Our successful B&F Management Trainee is able to coach the team in an inspiring and enthusiastic way. You are an example in the finishing touch for the B&F venues, and in putting the guest at ease with a natural way of serving and sharing your story about unique local discoveries. Offer you a great place to work in a completely new and diverse team! 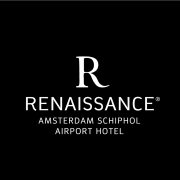 Don't miss this exciting opportunity to join the Renaissance Amsterdam Schiphol Airport team. This Renaissance Hotel is franchisee-owned and operated.